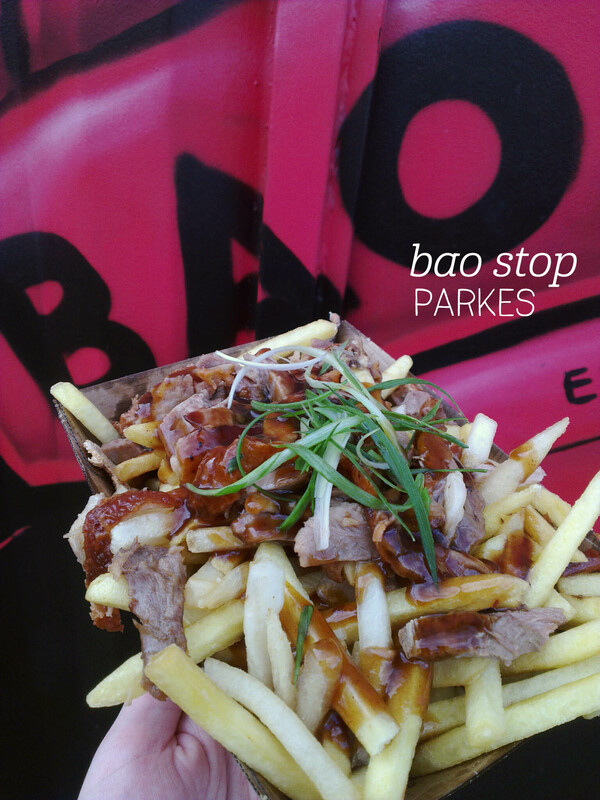 Bao Stop part two consisted of the amazing-sounding Peking duck fries ($15). Visualise, if you will, a large tray full of crisp, golden fries, topped with shredded duck, spring onion and Peking sauce. Can you see it? Well, basically that’s what Bao Stop are offering and what we ate on a recent visit to the Night Noodle Markets. The queue for this stall is rather long, so grab something from somewhere else first to snack on while you wait. The service at the other end is actually really fast, so once you’ve ordered the food takes less than 5 minutes to be served (wow guys, wow). We shared this dish between two, and found it very filling – the duck on top is plentiful, tender and full of flavour, enhanced by the Peking sauce that I must learn how to make at home. The meat just falls apart into lovely flakes of duck perfection. The fries were of the thinner variety and were cooked perfectly, although some were slightly soggy after being doused in sauce. The portion isn’t stingy – you are absolutely getting bang for your buck here, worth the wait for a fun, tasty treat. Bao Stop is definitely one of the most popular stalls at this year’s Night Noodle Market – we braved the queue to see if it lives up to the hype. For part one, we ordered the ‘Bao Trifecta’ ($20), choosing the duck, pork and chicken options (there is also a tofu choice). Compared to local establishment The Fish Can, the Sydney-based store is a bit pricier, but each serve was excellent value and packed with meat. The duck was probably my favourite overall, reminiscent of the amazing duck pancakes served at Chinese restaurants. The duck was plump and tender, and really a big piece, complemented well by the cucumber, Peking sauce and shredded spring onion. Tick. Next up was the braised pork belly, topped with roasted peanuts, fresh coriander and hoisin sauce. Again I was amazed by how tender the large serve of pork belly was, and the coriander really added a lot. Tick. Finally the Taiwanese fried chicken bao was packed with spice – hello chilli mayo, chilli jam and fresh carrot. The giant piece of chicken was crisp on the outside and tender on the inside, and the flavours were fresh and absolutely delicious. 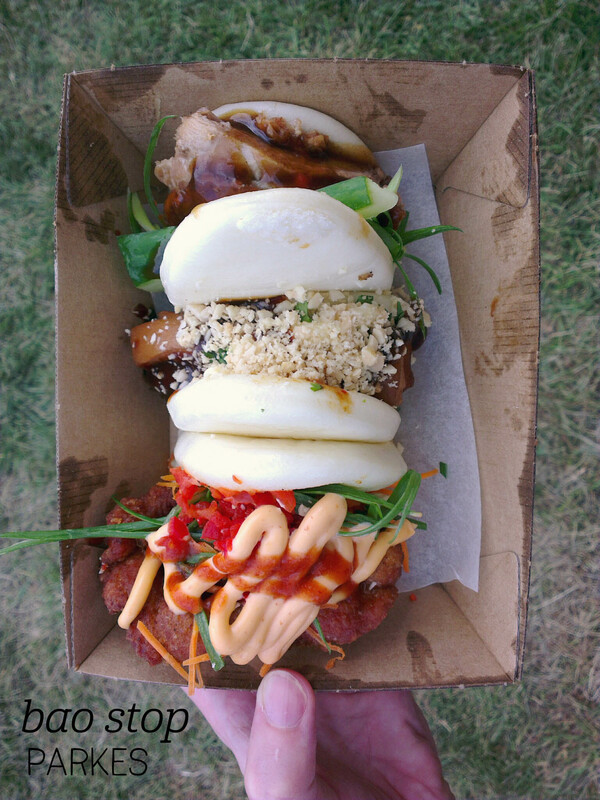 Bao Stop, you can #cometocanberra anytime. 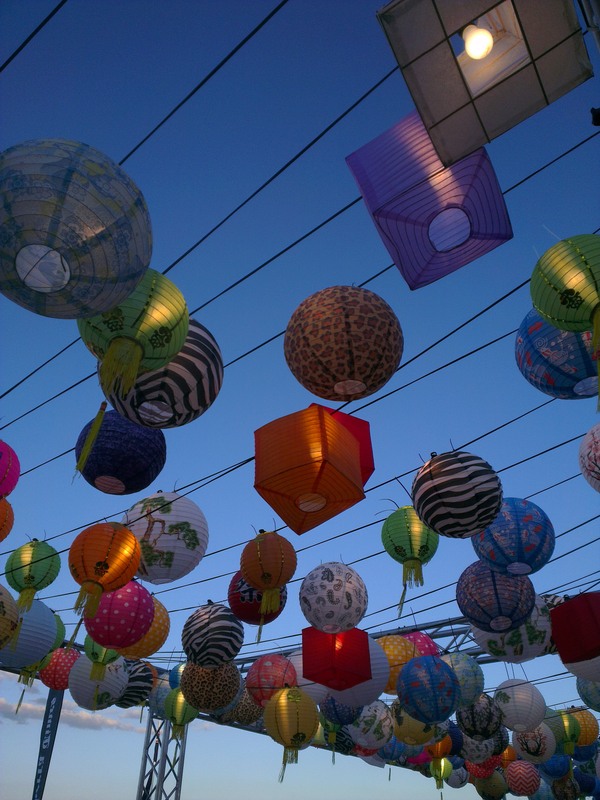 Ladies and gentlemen of Canberra… the Night Noodle Market is coming! Part of Good Food Month (I knew there was a reason I was born in March), the market is set to be bigger and better than last year when it kicks off tomorrow night! The line up is looking excellent – I’m particularly excited about the bao trifecta from Bao Stop, a mini-Boodle feast from Kusina (one of my favourite local businesses), the ever-sophisticated fare from Lilotang, and, finally, the ubiquitous Watermelon and Strawberry cake from Sydney’s Black Star Pastry, fused with the genius that is N2 Extreme Gelato. Yes, it will be busy. Yes, the weather is looking like it will be hot. But Canberra, this delightful pop up hawker-market is only here from Friday 4th until Sunday 13th March, so please make the most of it! To keep you posted on what’s happening, I’ll be Instagramming my opening night experience live for you to follow along and decide which queues are worth braving for yourself (follow me at @sharoninez16). Oh, and don’t forget to check out the rest of the Enlighten events while you’re taking a digestion pause. Happy eating! 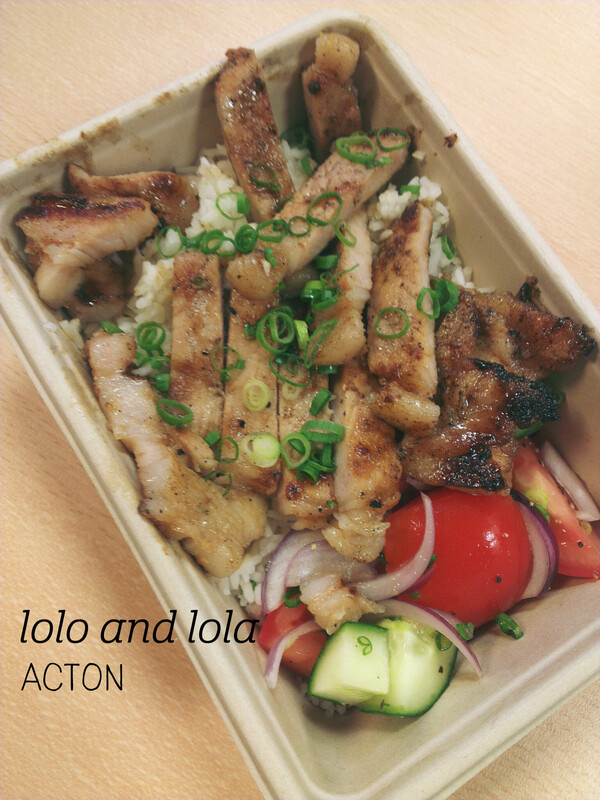 Canberra is entirely to blame for my love of Filipino food – luckily, Lolo and Lola can help me feed the habit started by Kusina! The latest shipping container store to open at Westside, Lolo and Lola (formerly Waterhouse Bakery) offer fresh Filipino dishes and cakes with a menu that changes daily. I went on a Friday and ordered the Grilled Pork Tocino ($12) – cured sweet pork slices served with rice and a tomato salad – to takeaway. The portion size is fantastic – exactly the right amount of food for lunch, and I was impressed by the amount of pork in the serve. The meat was amazingly delicious – sweet as the menu says, but also very tender. The spring onion sprinkled on top helped to lift the flavour and I loved the way some of the sweet coating from the pork oozed onto the rice, which I’m sure was infused with garlic (yum). The tomato salad had wedges of fresh tomato, slices of red onion and cucumber it was really refreshing to contrast the heavier pork and rice, but I’ll save this dish for weekends as the raw onion was strong and not ideal for going back to work! I’d very happily order this dish again and can’t wait to try more from the exciting menu! 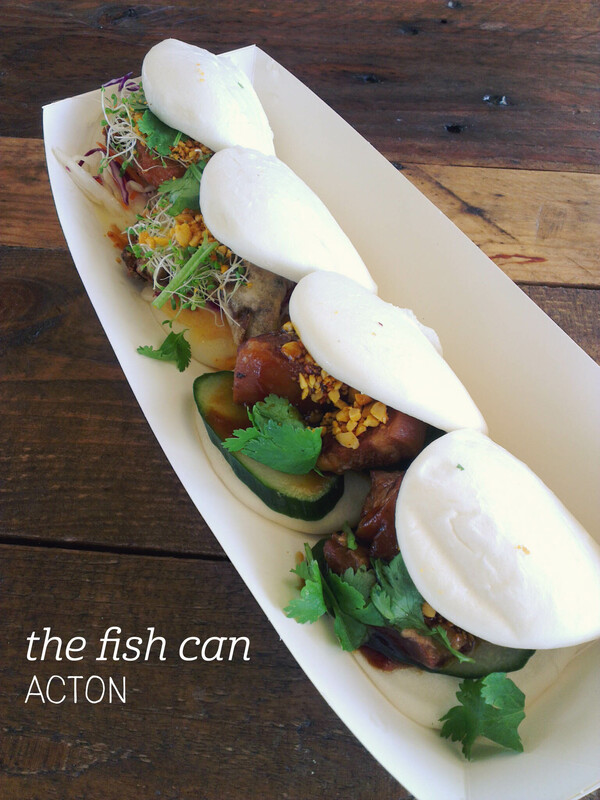 Canberra seems to have gone mad for bao, the latest foodie trend to sweep Instagram, and The Fish Can are giving the people what they want. We went on a warm weekend afternoon and there was a significant queue of people waiting to order and collect their bao. We ordered a couple of different fillings to try – pork belly, soft shell crab and fried chicken. Yes, it’s a small shipping container/food truck, so we did have to wait a while, but the bao were dished up fresh, and whilst this isn’t fine dining (the bao wrappers don’t really compare to somewhere like XO), it is tasty and filling food. The pork belly bao is packed full of tender, fatty meat, refreshing cucumber and sprigs of coriander to lift the whole combo – I liked it, rather than loved it. Next up was the soft shell crab – mmm. Cooked in tempura batter and dished up with coleslaw and crushed peanuts, this was one I’d come back for. But my ultimate favourite was the ‘Chican’ -fried chicken breat with aioli, crushed peanuts and coriander. The chicken was so perfectly tender inside and crispy on the outside, combined with the crispy peanuts and spicy aioli to make a real winner. Ah Miss Van’s, how I adore you! On this visit I branched out from my usual banh mi and went for one of the noodle salad bowls, which a colleague had raved about on our last visit. Trust me, this is something you want to order. 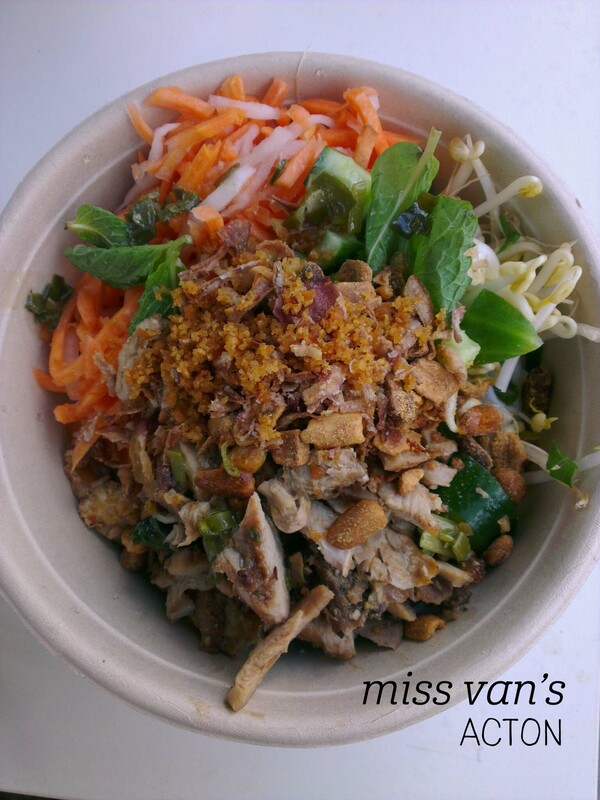 For a very good value $12, you can get a huge bowl full of Vietnamese chicken and noodle salad perfection. I picked the ginger soy chicken option (they also have lemongrass and chilli tofu for vegetarians) and it is probably the best salad I’ve ever eaten in my life. I loved the fresh tang of the vinegary sauce, the huge quantity of incredibly fresh vegetables (bean sprouts, carrot, radish, cucumber), herbs (mint and corriander) and toasted peanuts to add even more texture. The noodles tend to hide towards the bottom, so don’t be shy mixing it up before tucking in. The chicken was so tender and the ginger soy flavour was spectacularly good – especially paired with the fried shallots on top (one of my favourite things). I can’t recommend this enough – perfectly fresh and full of flavour, this will be my go-to favourite for some time to come! Make way Canberra, a new venue has joined the ranks of food coma, meat sweat-inducing deliciousness. Welcome, Fillos Souvlaki! 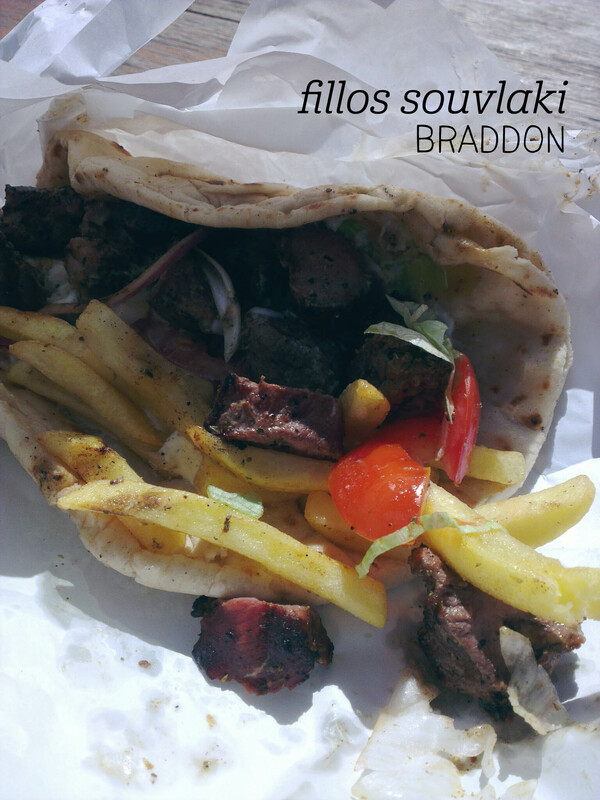 A recent addition to the Hamlet’s collective of food trucks, Fillos Souvlaki offers souvlaki as either a pita or a plate, with lamb, pork and vegetarian options. I went for the lamb pita ($12.50), and on reflection I probably should have fasted for some time prior to trying to eat it! My meal was prepared in two minutes flat – even the lady handing me the roll couldn’t believe it was ready so quickly! Inside the rather thick pita bread was a large amount of beautiful chunks of lamb, some serious chips, plenty of garlic sauce (yes! ), and a nod to non-deep fried vegetables with some onion, tomato and lettuce thrown in for appearance’s sake. But we all know I’m here for the lamb. Whilst not melt-in-your-mouth, the cubes of lamb were really tasty and I didn’t mind the effort of chewing them a lot to extract the flavour. The chips were at just the right mid-point between crispy and soggy for belonging in a roll. I’d be keen to try the plate next time – bring it on!